S&P upped its outlook on the U.S. credit rating in June to "stable," though the country didn't regain its AAA rating. The latest fiscal showdown in Washington could spark another downgrade of the U.S. credit rating, but investors aren't sweating it. 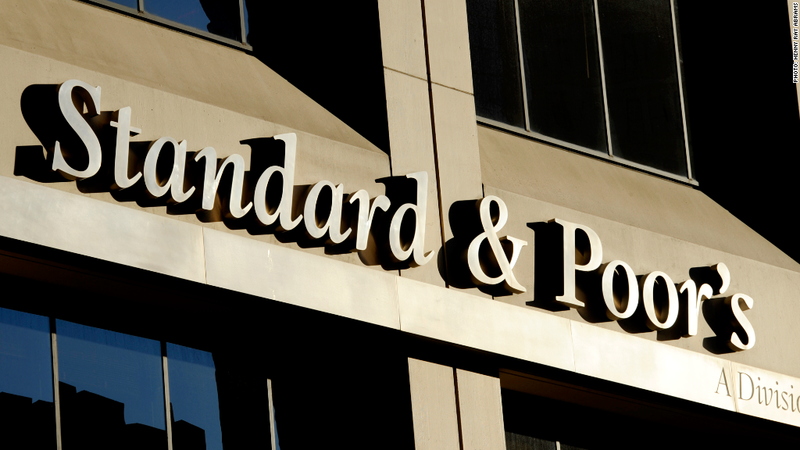 Standard & Poor's made headlines and roiled world markets following the last debt ceiling crisis, in 2011, when it cut the United States' sterling AAA rating to AA+. The rating agency cited concerns about the nation's long-term debt and its dysfunctional policy making. But two years later, that downgrade has had little lasting impact. As in 2011, the possibility of a debt ceiling breach remains a scary prospect, but investors say the ratings agencies are largely an afterthought in the current crisis. "They're viewed as generally being late to the party, especially on U.S. government debt," said Craig Brothers, senior portfolio manager at Bel Air Investment Advisors. "I don't think [U.S. debt] would trade any differently as AA than as AAA." The rating agencies took hits to their reputations following the financial crisis, having failed to flag signs of trouble in the housing market ahead of the crash. Five years later, the effects of these mistakes are still lingering. "The rating agencies have lost a lot of credibility over the last several years," said Kim Rupert, a fixed income analyst at Action Economics. "They're still important, but the market doesn't put as much faith and credibility into them and they're not the overriding factor anymore." The big three rating agencies -- S&P, Moody's and Fitch -- analyze risk and give debt a grade that reflects the borrower's ability to pay the underlying loans and serves as guidance for investors. The safest bets are labeled "AAA." The U.S. remains rated AA+ by S&P, with its ratings outlook "stable." Commenting on the current showdown in Washington, the agency said Monday: "This sort of political brinkmanship is the dominant reason the rating is no longer 'AAA.'" Post-default credit ratings for countries "are generally between 'CCC+' and 'B,'" S&P said, though the agency noted that a potential U.S. default would be the result of unique circumstances: Prior sovereign defaults have been the result of "compromised access to needed financing" rather than simple political brinksmanship. Fitch has kept the country at AAA, though that could change if the battle over the debt ceiling heats up. "Failure to raise the federal debt ceiling in a timely manner (i.e. several days prior to when the Treasury will have exhausted extraordinary measures and cash reserves) will prompt a formal review of the U.S. sovereign ratings and likely lead to a downgrade," Fitch said in June. Fitch maintains a "negative" outlook on the United States' AAA rating, meaning it's at risk of a cut. Moody's has the U.S. rated AAA with an outlook of "stable." Steven Hess, Moody's lead analyst for the United States, said the agency believes that even in the event of a debt ceiling breach, the government will prioritize interest payments and cut spending elsewhere. "It's very likely that the AAA would not be there any more if they missed an interest payment," Hess added. No one can predict exactly what the consequences of a missed payment would be, but analysts agree it's a terrifying prospect. Another downgrade alone, however, is unlikely to make much difference. "At the end of the day, even with a downgrade, the U.S. Treasury is still the safest game in town," said Michael Brown, an economist at Wells Fargo (WFC). Rates are also being held lower by the Federal Reserve's bond-buying program, he added. New downgrades could raise borrowing costs years down the line, but "in the immediate term, I don't think you'd see a massive movement of rates," Brown said. Some investment firms operate under guidelines that prohibit them from holding securities that aren't rated AAA by one, two or all three of the major rating agencies. They could therefore be forced to sell them following a downgrade, creating upward pressure on yields. But among buyers of Treasuries, these firms are "very, very small relative to those that don't have a ratings threshold," Brothers said. "There are ramifications if U.S. Treasury debt isn't AAA, but I don't think that would create a cascade of selling," he said.